Android device or Kindle Fire. No USB cable or email required. Tap the download button or enter the code to download your book. That’s it! Kindle Fire books are saved in the Books library, right alongside books from the Kindle store. The BookFunnel App is free. Always and forever. No hidden “premium features” or ads. Wonderful Customer Service! I have just started using this app but I have to give it 5 stars for the customer service alone! I had an issue and sent an email. In less than an hour Jamie emailed me back and was super friendly and very helpful! My issue was resolved quickly. If only all customer service departments could employ people like Jamie! First time used, went right through! No trouble whatsoever, installed on my Android phone. Perfect! Super easy to use if you read and follow all the instructions. On the rare instance I have an issue, their support is FANTASTIC. It is great for getting your books without having to go through a lot of hassles. Have enjoyed it since I have been using it. Thanks! Yay, more books! First: Amazing experience with customer service after I had a bit of trouble getting started. Quick email response with the right fix, and hooray - book! Second: This app is NOT an eReader or bookstore. You get a code for a book (maybe an author promo?) from wherever you got it. You open Bookfunnel, enter the code, & say what format you want (Kindle, Nook, pdf, etc). The app downloads your book & opens your reader. It works just fine on my S7. My free author-promo title was $10 on Amazon, so I'm thrilled! This is a great app. I always get my book no problem. I wish more authors would use this app for free books. BookFunnel is an ebook delivery service founded in 2015 by indie authors deep in the heart of Texas. We currently deliver over 1.4 million books every month (and growing rapidly)! 2. How does the BookFunnel App work? The BookFunnel App for Kindle Fires will download your book and save it to your Books library on your Kindle Fire. Install the app on your Kindle Fire and then download any BookFunnel book you receive by either tapping the "Download Book with BookFunnel App" button on any book download page, or by entering the BookFunnel Code directly into the app. 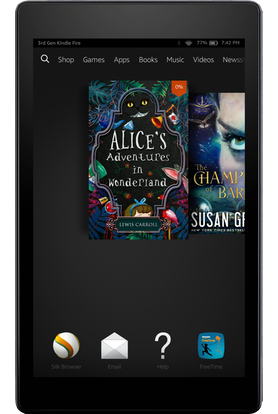 The BookFunnel App for Android devices will download your book and send it to the reading app you select. Type the BookFunnel Code into the app and then tap the button to send the book to your preferred reading app (Kindle, Nook, etc.). 3. Do I have to install the app? 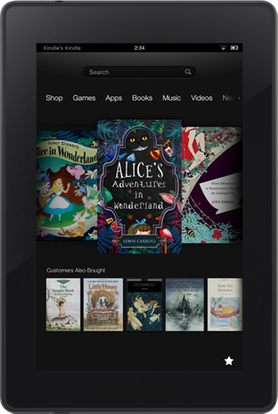 The BookFunnel App allows you to download an ebook directly to your Kindle Fire or Android device. It is fast, free, and unlike just about every other app out there, has no ads or upsell. It just downloads your books. If you don't want to use our app to download your book, that is A-OK! You can download your ebook and transfer it to your reading device however you would like to. 4. 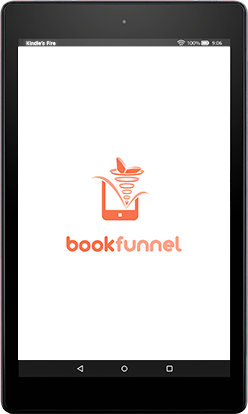 Can I download the BookFunnel app from the Amazon app store? The BookFunnel App is not available in the Amazon App Store. Because our app allows you to download books directly to your Kindle Fire, Amazon considers it a competitor to the Kindle Store and so won't allow it in their app store. We know, we've asked. 5. Where can I find the BookFunnel code? An author sent you a link to download their book, where you saw their book cover, and maybe even the book title and book description. Go back to that link and click Get My Book, then click I need the BookFunnel download code. 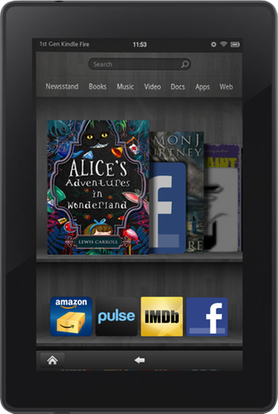 Which Kindle Fire do you have? 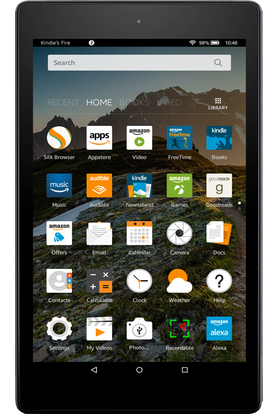 There are many different Kindle Fires, but there are really only four major versions that are easily identifiable by the home screen. Look at the pictures below and choose the image which most closely matches your home screen. That's it! You're ready to download books from BookFunnel. If the Install button at the bottom of the screen is disabled for any reason, click the power button to put your Fire to sleep and then turn it back on. The button should light right up.